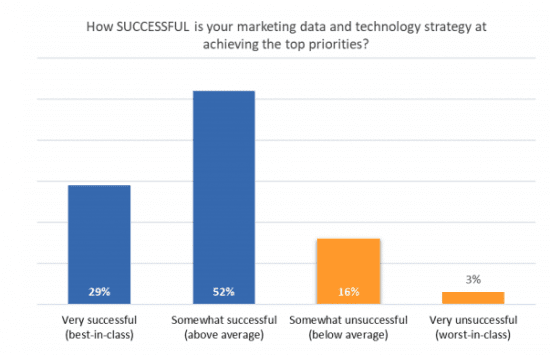 How successful is your Martech strategy? 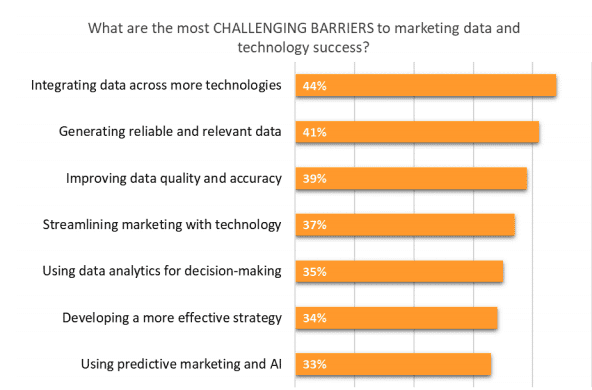 Most believe their strategy is successful based on how they achieve their priorities in using martech, but there are significant challenges with data and integration across different platforms, as well as issues with getting relevant and reliable data. This could be due to a number of reasons such as a complexity of data as well as lack of training, skills, resource or time to help with these challenges. 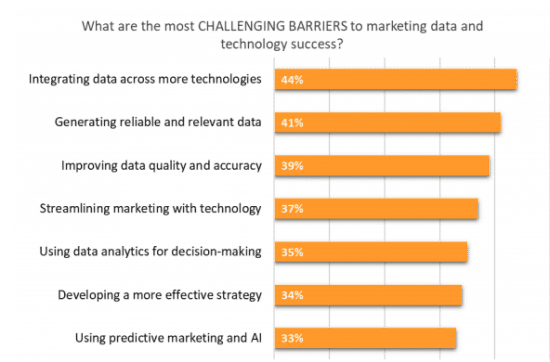 Improving data quality is also an issue for marketers as they strive for better data and more accurate targeting. 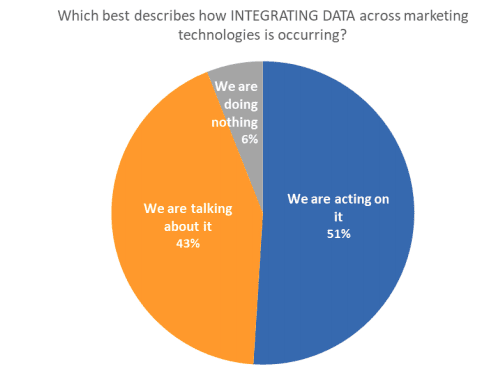 Over half are also working on integrating data across their marketing technology platforms, though this is a big challenge. How much marketing technology is the right amount? It's sensible to audit your martech stack, this will allow you to make sure you have the marketing technology covered for optimized use. 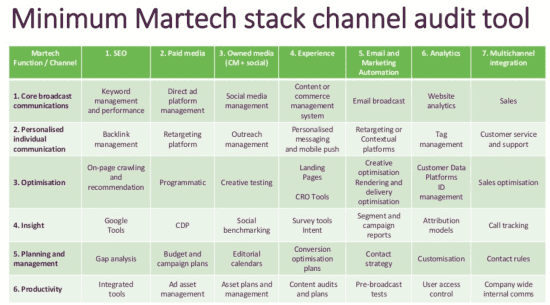 In the table above we recommend the minimum use of platform types based on each martech channel. 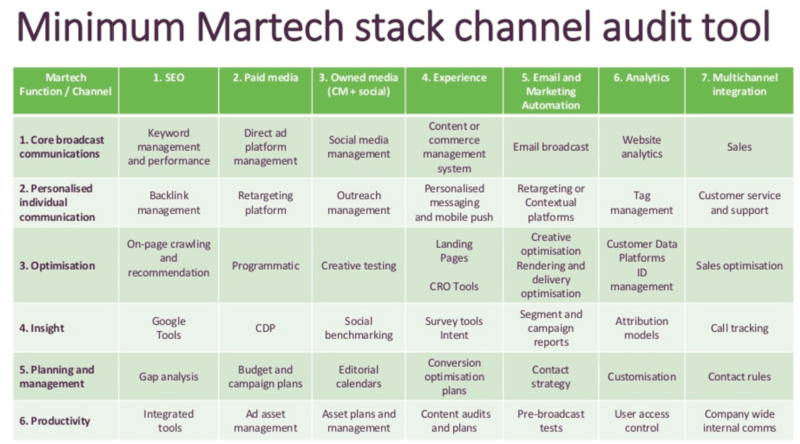 We recommend taking the table above and adding in each of the martech you use so you can see the gaps, then you can focus on closing those gaps. Robert Jones is a specialist in CRO, UX Research, insight and digital Marketing. He is CRO Analyst at Enjoy Digital. He has a Psychology Masters of Research, has run large digital marketing campaigns to build research panels and worked in insight roles for Vision Critical, ASDA and WhatUsersDo. He also managed all of Smart Insights member resources and published several guides including "How to conduct Persona Research" as well as contributing over 100 blog posts to the Smart Insights blog. When he isn’t working on marketing campaigns he is most likely eating authentic Italian food or planning his next short trip. You can connect with Robert on LinkedIn or follow him on Twitter.